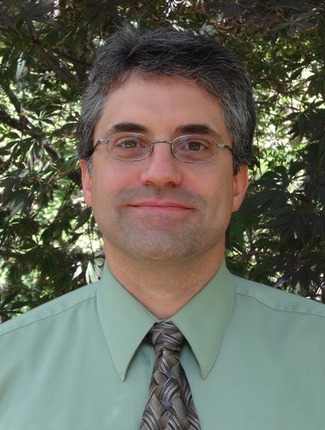 John R. Marciante received the BS degree in engineering physics from the University of Illinois at Urbana-Champaign in 1991 and the MS and PhD degrees, both in optics, from the University of Rochester, in 1992 and 1997, respectively. In 1991, he joined the USAF Phillips Laboratory in New Mexico (later to become the Air Force Research Laboratory) as a research physicist. In 2001, he returned to Rochester to join Corning Rochester Photonics Corporation as a senior research scientist and the Institute of Optics as an adjunct professor. Since 2003, he has been with the University of Rochester. He is currently an associate professor of optics at the Institute of Optics. He has also held positions as adjunct professor at the University of New Mexico and chairman for the IEEE/LEOS Albuquerque Chapter, and has served on numerous conference committees including OFC, SPIE Photonics West, and Frontiers in Optics. He served two terms as topical editor for the Journal of the Optical Society of America, and two terms as the chair for the Fiber Modeling and Fabrication technical group of the Optical Society of America. Professor Marciante's general research interests center around optical waveguides, including active, passive, and nonlinear devices. The tight confinement of light allows for increased material interactions, which is beneficial for waveguides with gain or nonlinear properties, and can also lead to designable spatial and dispersive properties. In particular, he is interested in the generation of high power/energy spatially coherent sources and the ability to manipulate the wavelength of light in optical waveguides. Current research activities include large-mode area fibers, multi-kilowatt fiber lasers, high-power ultrafast fiber lasers, all-fiber optical components, and high-brightness semiconductor lasers.